billion calls will be made to consumer-facing businesses worldwide by 2019.
of customer journeys begin on an e-care platform and then switch to traditional channels. of all customers attempt to take care of matters themselves before reaching out to a live representative. Do you know how much revenue is driven by inbound calls? You can attribute an additional 40% of revenue to marketing investments with call tracking software. Over 40% of callers will abandon after waiting too long in a call queue. 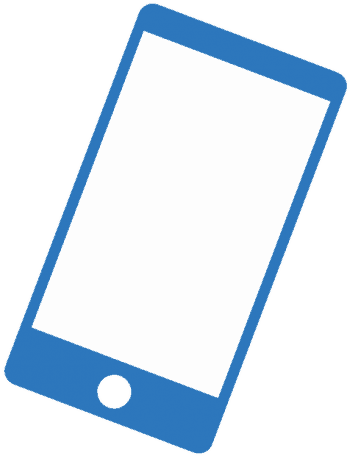 Re-engage 81% of abandoned mobile callers with Freespee’s easy to implement technology. The call-through rate is the percentage of your web or app visitors who choose to call. 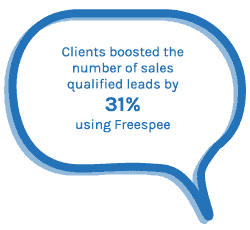 Freespee customers saw a 77 % increase in call-through rate after using call tracking. Marketers rely heavily on customer data to show the impact of both online and offline campaigns on conversions. Call tracking is essential for successful marketing for brands with high value or complex products where a conversation is necessary before purchase. Once used, dynamically generated numbers connect the phone call to the source the customer arrived from, including the particular campaign or marketing channel – delivering multiple metrics right down to the keyword. This means that call tracking helps marketers prove the revenue driven by their marketing campaigns. Phone calls are a major source of inbound leads for most brands and call tracking can make managing these leads easier. It monitors a brand’s connection to its outbound campaigns and their interactions with customers. By providing visibility of phone conversations from these campaigns, sales and marketing teams can nurture prospects and customers with a better experience. This is achieved with call routing, which sends high-quality leads, based on their digital profile, to the right agent instead of languishing in a call queue. Sales acceleration is another benefit of using call tracking for lead management, it shortens the sales cycle by speeding up response times to prospects and identifies the leads most likely to close based on their context. 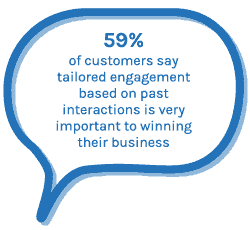 Within every customer conversation is an opportunity for more information about their relationship with your brand. Call tracking metrics are the measurements produced from phone call analysis. These tools can help optimise marketing campaigns and help both sales and marketing teams better interpret their campaign data. Metrics like “call through rate” determine the total number of calls from dynamic phone numbers divided by the total number of visitor sessions, this allows a company to understand how many calls are coming in. Most brand websites already use platforms like GA (Google Analytics) to analyse their user activity, while their current call tracking data only reports on visitor activity. A more impactful option, in this case, would be user-level tracking. Contains a variety of marketing opportunities such as; Pay Per Click (PPC), Email Marketing, Display Advertising, Search Engine Optimization (SEO), Social Media Marketing (SMM) and more. The print space arguably receives less focus as a source of inbound leads but channel partnering or cross-channel advertising has prompted a resurgence. Static numbers (fixed numbers linked to a specific ad source) can be placed in either print or online banner ads. Much like social media marketing, SEO and email – a phone call is another marketing channel. The data derived from a phone conversation via a call tracking provider works with both Google Analytics and AdWords to provide a clear view of online and offline attribution. Google Adwords is a paid search service provided by Google, it allows businesses to establish more ad space within the search results. Adwords uses call tracking when a dynamic number is placed into a Google Ad. Adwords enables brands to track calls made via call extension and call-only ads. 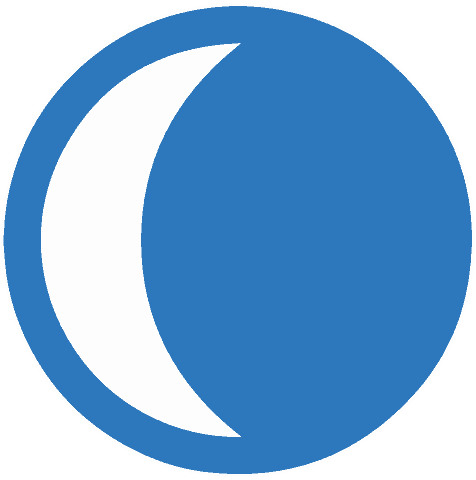 Its main goal is to provide visibility into how well keywords, ads, ad groups and campaigns are working out. Google Analytics can’t track calls so it works in conjunction with call tracking software, the best providers can integrate seamlessly with GA. Call data derived from AdWords or another source is streamed into google analytics and added to website metrics, usually as “events” in a dashboard created by your provider. From there this data can be used to optimise future marketing campaigns. Social media advertising in platforms like, Facebook, Twitter and Instagram already have native analytic systems to monitor activity but once a prospect leaves a forum, the tracking ends. By assigning dynamic numbers to social media accounts companies can track the calls originating from them. The data also reveals the influence each social channel has on calls and follows the journey of the user from the moment they encounter a CTC (Click to Call) on a Twitter, Facebook or Instagram driven campaign. Adding this tracking to social media is dependent on the following of your brands. If social channels are a significant aspect of your advertising strategy then integrating call tracking technology into your stack is always beneficial. Keywords, sources, call volume, pages, media, campaign, etc. A concise report can show a clear picture of each customer journey and allow brands to view calls by multiple metrics, all in one place. Call tracking reports contain customised information relevant to the brand. For example, an agent from a real estate company can activate call reporting and view metrics such as call volumes at different times of the day. If multiple calls are converting after 3 minutes of conversation in a specific area then the agent can target their campaigns to that location. Sales and marketing teams collaborate best when they are aware of each other’s contributions, operating in separate silos does not work anymore. Now the majority of a purchase decision is made by the time a lead lands on the sales team. However, metrics produced by tracking calls from the beginning of the buying cycle to the end give full visibility of both sales and marketing’s impact on a conversion. As lead quantity and lead quality are a tricky balance, call tracking helps marketers nurture leads and maintain volumes by understanding which source of advertising these leads are coming from and the customer context behind it. By prioritising the most lucrative prospects first and pushing them down the funnel quickly, it’s easier for sales teams to close the deal with keen awareness of the prospect’s needs. If a lead goes cold, the tracking data allows for an honest review of what didn’t work for both teams, leading to a rethinking of strategies. Combining the journeys of callers from offline, digital and mobile campaigns is what call tracking does best. This data tells you a lot about why a customer is calling and obtaining that kind of information is the first step to developing a relationship with a caller – which can turn a prospect into a lead. How can call tracking help your customers? Probably one of the most common reasons for dropped calls is when customers are left waiting in a call queue while agents deal with a messy backlog. Call tracking software kills the IVR and eliminates wait time by segmenting callers based on their digital context. Their information is then moved down to the relevant party that can quickly find a solution to their query. Today’s customer demands a personalised experience especially if the purchase is of high value. With large chunks of data coming in from software like call tracking, marketing and sales teams are able to tailor their campaigns to an individual customer. Brands can also base every conversation on where the caller came from, if a user is keen to book a test drive from an automotive brand website, the phone call will be sent to their local dealership using geolocation. Call tracking is the most effective when it’s in collaboration with a client’s existing system. Often, an invisible middleman is the way to get the most out of this process. Good call tracking software should be malleable, in that it easily integrates with existing CRM and digital marketing tools allowing call data to be streamed anywhere a brand pleases. Improving your lead management shouldn’t be a long or arduous process. Installation should be quick and always have dynamic phone numbers. It makes the coding process a breeze for your tech teams.